← Collateral Benefits ? . . . I was at a client meeting the other day where we were discussing leadership and how even though the experts don’t agree on the definition of leadership, we all know it when we see it! It was a good discussion but I found my mind drifting off to land on someone from my past, who died a few years ago, that to me was the poster-child for unassuming, understated, yet highly effective leadership. I first met John Clayton in the Atlanta Airport at the Continental Airlines President’s Lounge. I’m not great with dates but it must have been in the early to mid 1980’s. He came highly recommended by a client based in Richmond, Virginia, where John and his family lived. My client, who was very grateful for the consulting work we did to help align his senior team, kept telling me over and over that I had to hire John Clayton as he would be perfect for our type of “people sensitive” team consulting. So, since I was running a growing consulting firm and always on the lookout for exceptional talent, I flew in to Atlanta to meet with John. One of the things that first struck me when we met was that John and I were very different, in just about every way. John was smooth, quiet spoken, appreciative, optimistic and extremely kind. A very nice man. On the other hand I was younger (about 10 years), brasher, less polished, more blunt and direct. Basically John was a facilitator and happy to guide things along to the intended outcome. I wanted to blast through and find the short cuts. I think at first we both wondered what the hell we had gotten ourselves into. 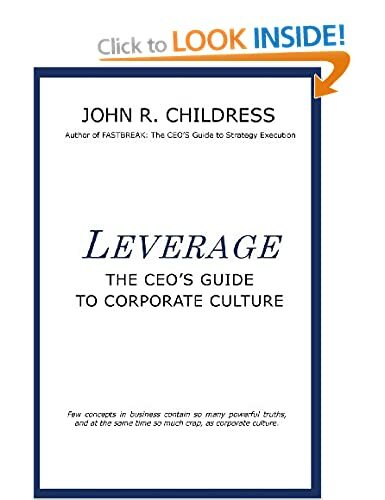 But the more I listened to John and learned about his life, his successes (in politics,as a sportscaster, general manager of a minor-league hockey team) the more I could see the ingredients (I call it the “right stuff”) of an exceptional leadership consultant. John agreed to come on board our small consulting firm and quickly became a senior consultant, then a Vice President and sold and ran one of our largest culture change programmes ever, for British Gas in the UK. Eventually John became the Head of our UK firm for a couple of years after I retired. Sadly one day about eight years ago I received a call from a former colleague that John had suffered a heart attack and died that evening. I was shocked, since I had always assumed the active, frequent golfer was in good health. But most of all I was saddened. The world had lost one of the most unsung, unassuming, yet highly effective leadership consultants I had ever had the privilege to know and work with. Many people thought that John and I didn’t get along and that I was always criticizing his “laid back” style of working with clients. And on the surface that was the case, but if there ever was a tricky client engagement that needed real leadership and relationship building to get the job done, I always chose John Clayton. That was the case when he was chosen for the Ford Halewood transformation project, which has since become an INSEAD case study in successful business transformation. Seth Godin says it best when defining leadership. 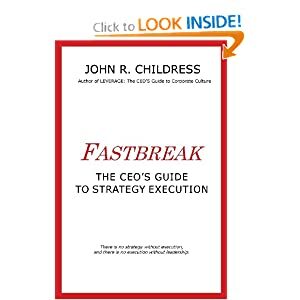 “Leaders lead.” John Clayton was in my mind a great leader because he did just that, he led. He didn’t talk about it, he didn’t flash his successes about, he just led. And people follow and respond to leaders who lead, not leaders who talk. Next time you see someone who is different from your mental image of how a successful leader should look or behave, remember John Clayton. You may discover a real leader if you take the time. I’m glad I did. This entry was posted in consulting, leadership, Personal Development and tagged British Gas, Ford, Halewood, John Clayton, profiles in leadership, teambuilding. Bookmark the permalink.